Morale undershirts and patches are one uniform change airmen are embracing to boost unit pride throughout the service. 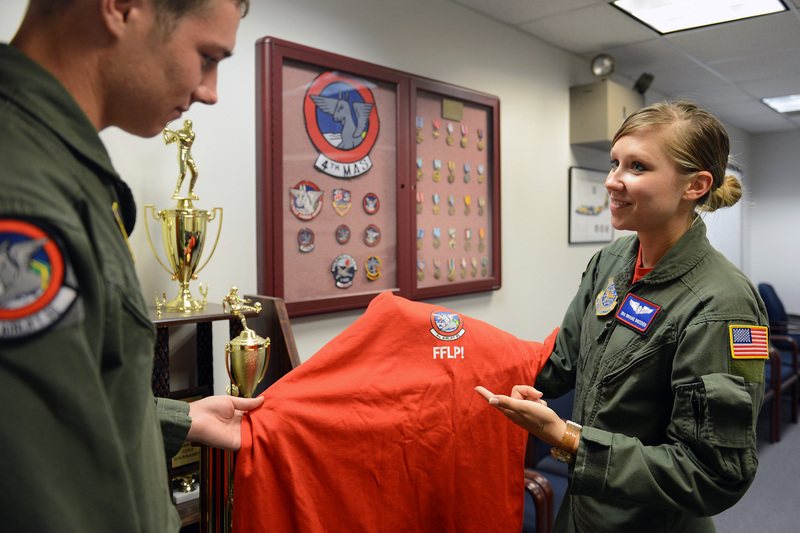 But “T-shirt Fridays” remains in limbo for stateside airmen in the Guard and Reserve. Pending wing commander approval, airmen are allowed to wear morale patches on their flight suits on Fridays or during special events, and can also wear specially designed unit T-shirts under their Airman Battle Uniform or flight suits. Airmen in the reserve components expressed that the Air Force “kind of missed the boat on the morale T-shirts for Friday only,” said Ruth Ewalt, chief of Air Force uniform programs in a Sept. 8 interview with Air Force Times. The Guard and Reserve cannot apply the “Friday only” rule because they usually do their unit training assemblies on weekends, Ewalt said, so the Air Force is on steadfast track to include everyone under the uniform Air Force Instruction. The Air Force in January published “Incorporating Through Change 3” part of AFI 36-2903 which approved the T-shirt and morale patch change, and also: authorized certain Air Force and other services’ qualification badges; eliminated athletic shoe color restrictions; authorized black socks with athletic shoes; and removed the requirement for reflective belts with the PT uniform (pending commander approval), among other revisions. Ewalt said guardsmen and reservists can expect the change in “Incorporating Through Change 4” anticipated before the end of the calendar year.